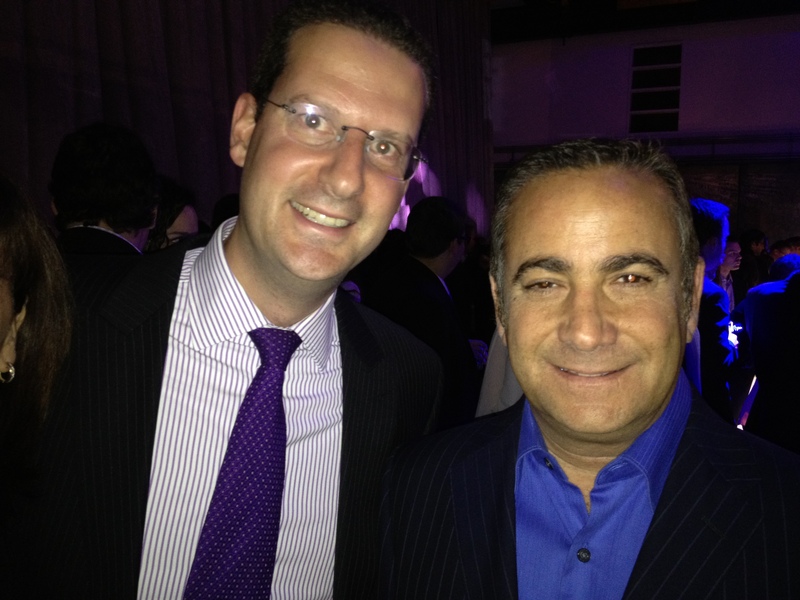 This year Cote Saint-Luc Mayor Anthony Housefather, Councillors Ruth Kovac, Dida Berku, Mitchell Brownstein, Mike Cohen and I attended the Canadian Jewish Political Affairs Committee (CJPAC) Action Party at the Arsenal in St. Henri. CJPAC is a unique national, grassroots, independent organization whose mandate is to engage the community in the political process. CJPAC mobilizes the grassroots across the country, builds relationships with elected officials – of all political parties – and works for Jewish community interests, on a multi-partisan basis, during and between elections. 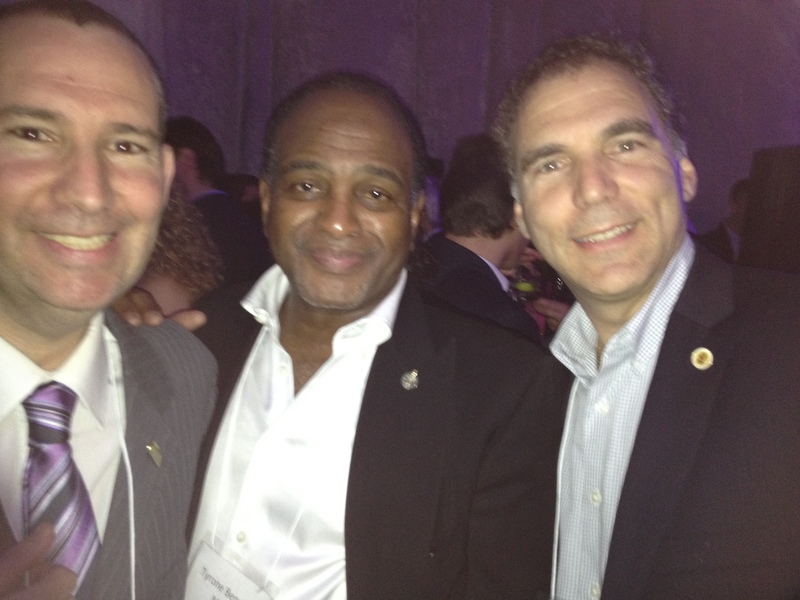 Former party organizers Mike Cohen, Sandie Sparkman and me. We were the leaders of the Jewish Adult Programming Society (aka JAPS) that threw large soirees in Montreal, Ottawa, Toronto and Calgary as well as trips to Israel in the late 80s and early 90s. We met with several elected officials and their staff from all levels of government along with many young people interested in engaging with politicians. You’d think that Mount Royal riding, encompassing Cote Saint-Luc, Hamsptead, Town of Mount Royal and a slice of Snowdon was up for grabs as former candidate Saulie Zajdel made the rounds talking up Stephen Harper‘s great support of Israel while the current MP’s (Irwin Cotler) Chief of Staff, Howard Liebman, worked the other side of the room. Meanwhile, former Mount Royal Tory candidate Neil Drabkin was also in attendance easily working his way across the floor connecting with younger voters. 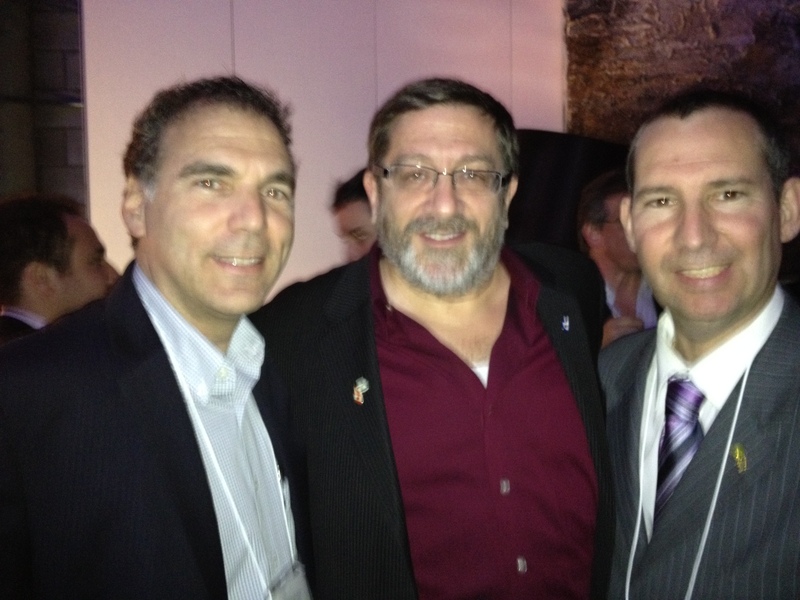 Mike Cohen and I meet up with former Montreal City Councillor and candidate for MP of Mount Royal Saulie Zajdel. Could Saulie be planning to run yet again? CDN-NDG Borough Councillor Lionel Perez is a superb local leader who tells me that the Jewish General Hospital has done a marvelous job at promoting the current expansion to the neighbouring residents. Also in attendance were NDG-Lachine MP Isabelle Morin, with whom I recently had the pleasure of meeting one on one with JGH Executive Director Dr. Hartley Stern. The NDP’s Pat Martin was also in from Winnipeg to experience the Action Party for the first time. NDP big boss Thomas Mulcair did rounds of the packed industrial party place as did MP Justin Trudeau, DDO Councillor Herbert Brownstein, Hampstead Councillor (and possibly next Mayor?) 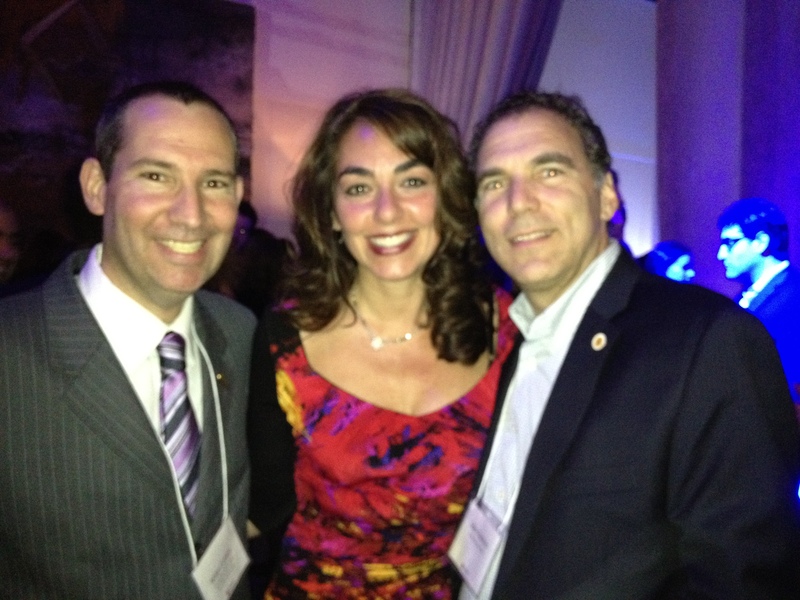 Bonnie Feigenbaum and longtime political organizers Steve Pinkus, Jonathan Schneiderman and Jonathan Goldbloom. Could Howard Liebman of the Liberal Party face off against Neil Drabkin of the Conservative Party in Mount Royal riding in the next federal election? The Action Party is a terrific opportunity to turn young voters on to voting and becoming involved at all levels of government. One word of advice to the organizers for next year (an I do feel “old” saying it): Turn down the incredibly loud music so people can hear each other. There’s hardly any dancing at all but lots of shmoozing where I struggled to lip read what was being said to me (I hope all good things of course). All in all, a tremendous idea and well organized venture. Bravo to the sponsors and committee. Read more on Mike Cohen’s blog. Read more in the CJN.